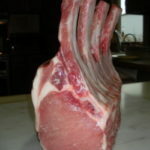 4 bone frenched rib roast, no skin. Perfect for that smaller group of hungry guests. A great addition to the crown, if you need to feed a few more. Bake or Grill until the internal temp reached 145 degrees. Let rest for 15 minutes, then cut between the bones. Chin bone removed for easy cutting. Great on the smoker too! 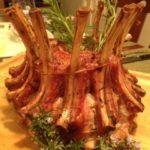 The flavor of this roast represents the true flavor of great 100% Berkshire Kurobuta pork! 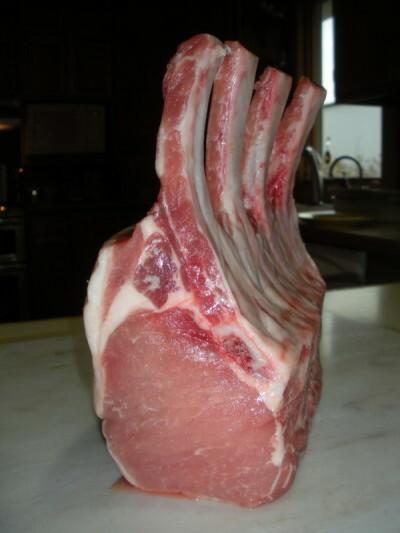 Be the first to review “100% Kurobuta Pork Rib Roast, 4 bone, frenched” Click here to cancel reply.